The Friends of Camp Whitsett (FOCW) are partners with the Western Los Angeles County Council (WLACC) and Camp Whitsett. We help recruit volunteers for Camp Whitsett. The Camp always needs your help. It is fun and rewarding to make a physical contribution to Scouting and the Camp. You get to enjoy the beauty of the Sierra Nevada Mountains. There is no charge; you get free food, and a cabin or tent to sleep in. Adults can volunteer as Camp Commissioners during the summer sessions. Volunteer Commissioners at Camp Whitsett are there to help the Scoutmasters and other adult leaders during their week in Camp. Commissioners are a bridge between them and the Camp. Commissioners should be able to provide answers to their questions, either on-the-spot, or as quickly as possible. Commissioners should be able to tell them where to go to get specific services such as first aid, where merit badge classes for their Scouts are held, and the location of the closest bathroom or shower. Commissioners are there to listen to their comments, suggestions, recommendations, and complaints. Commissioners are also there to have fun and enjoy the Camp. If this interests you, please send an email to the FOCW via the form below and we will provide you with a lot more information, and answer all of your questions. Adults can volunteer as a Camp Doctor, Nurse, or Medic during the summer sessions or on special weekends. If this interests you, please contact us with the form below. Adults and youth can provide service during a scheduled FOCW Service Weekend, or at another time that is agreeable with the Camp Ranger. Service to the Camp includes many activities from simple things such as setting up or taking down tents, to more complicated efforts such as plumbing and electrical repairs. Service can include building or repairing tables for the camp sites, painting, conservation projects, etc. The possibilities are almost endless, depending on your interests and skills. 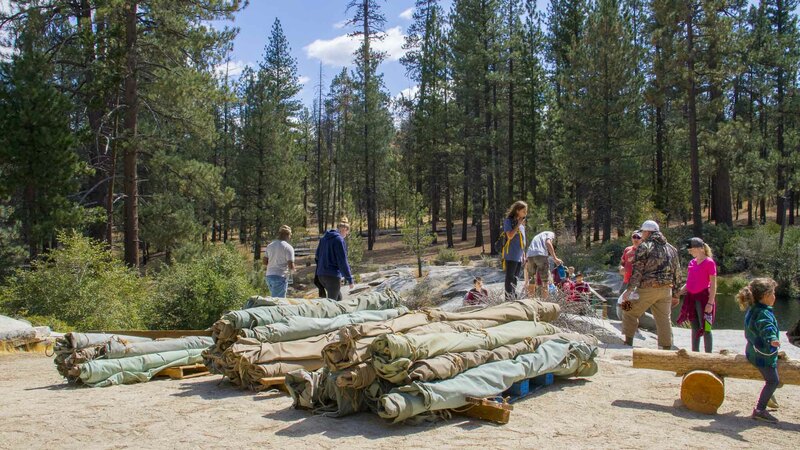 Camp service is usually open to adults, Scouts, and family members. Scouts can receive service hours for their time. If you would like more information about volunteering at a Service Weekend, or at another time, or scheduling an event for your troop or pack for providing service, please email us with the form below. Note: All adults (18 years of age and older) who volunteer through the FOCW must complete the on-line BSA National Youth Protection Training course. Camp Commissioners must be registered with the BSA. The FOCW can help you with registration and training; it is easy, just go your existing account or open a new account at https://my.scouting.org or email us with the form below.